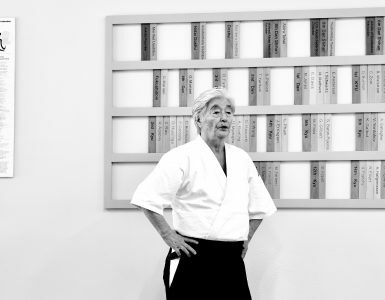 The selection of the topic for this article came about as the result of a very kind letter from a totally unexpected quarter: Minoru Mochizuki Sensei of the Yoseikan Dojo in Shizuoka. Mochizuki Sensei’s letter was in response to the editorial I wrote in the last issue entitled “Suggestions for the Elimination of Abuses in Dan Rankings”. 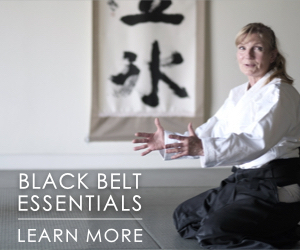 I was asked to elaborate on my view of the essential nature of Aikido in light of the subject covered in the above article. There may well be other traits shared by several of the styles but the above characteristics I would regard as essential to the art. Failure to stress any one of them would lead to a basic alteration of the fabric of Aikido as conceived by the Founder. I personally have a “live-and-let-live” attitude towards stylistic differences. I don’t feel knowledgeable enough to make a blanket statement to the effect that all approaches have something worthwhile to offer or that all contain defects or limitations. 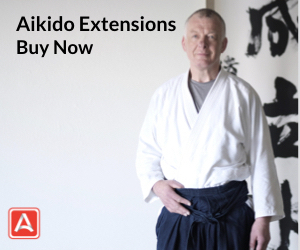 Let me simply restrict myself to a statement of the obvious: A number of styles of Aikido exist each emphasizing different areas and which have attracted sufficiently large followings so as to warrant recognition. As a historian, therefore, each and every one of them is of interest to me. In this connection, I believe that one of the most damaging attitudes that one can adopt is to pretend that no style other than one’s own exists. This is tantamount to giving certain individuals in a group the “silent treatment” and is a very poor way to promote social harmony. Returning to the subject of dan rankings, let me say that emotionally I am in full agreement with the gist of David Lynch’s letter in this issue (see “Letters to the Editor” section) urging the abolishment of rankings altogether. Indeed, why not discard the whole system thus doing away with all of the conflict and negativity its use has caused? Yet, in all honesty, I feel that if dan ranks somehow were eliminated, they would be hastily re-instated, albeit in a different guise. Let me give you an actual example to show how other systems can be used to replace or operate in parallel with the dan system. 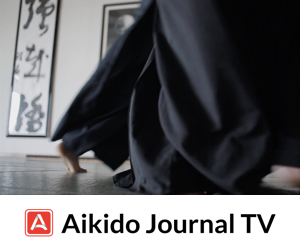 A number of years ago around the time of the establishment of the International Aikido Federation, a new set of terms was coined to distinguish those individuals who were in the good graces of the organization. The labels of “fukushidoin” (assistant instructor), “shidoin” (instructor) and “shihan” (master instructor) were introduced to designate persons empowered to officially represent the Hombu-backed organization. In a nutshell, it was a ranking system within a ranking system. My point is simply that the elimination of dans would create a vacuum which sooner or later would have to be filled. And remember it would take an act by the leaders of a given organization to produce such a feat, and it was their decision to introduce rankings in the first place. I think what we are dealing with is something actually inherent to primate behavior. Humans, moreover, with their linguistic ability exhibit a tendency to rank and classify in what seems to be a sub-category of the “naming” process. We instinctively attach names to all concrete and abstract objects, to persons, in short, to everything we perceive as part of our reality. Indeed, we have need of names and labels to manipulate objects and concepts verbally and even mentally. And the whole process of naming is possible only by identifying an item in its context. If we couldn’t say, for example, Mr. A is a “shodan” we would have to come up with an alternate description if we wish to speak of his level of ability. We might say he has been training for four years, is capable of executing certain techniques with a given degree of skill, etc., but the whole process would be most cumbersome. In the best of worlds, calling someone a “shodan” would be merely a shorthand way to say that he had a certain skill level, had been training a minimum length of time and so forth. The problem here then is not with the dan ranking system itself but rather resides in violations of the stated definition of ranks. No one complains about a competent student receiving a deserved rank. What we complain about are people being overlooked, promoted in excessive numbers for purposes of gaining political control or increasing revenues, or being advanced before having reached a certain level of competence. Hence, my suggestions in the past issue were designed to create safeguards within the structure of the dan award system making such activities difficult to engage in. The Constitution of the United States is often cited as an example of an enlightened political document. One of its most highly regarded features is its built-in system of checks and balances designed to prevent abuses by any of the branches of government: legislative, judicial or executive. Although budo organizations usually are not democratic institutions, I believe it is possible to incorporate various restraining devices into the procedures followed by these typically paternalistic bodies resulting in a reduction of abuses in such areas as dan rankings. 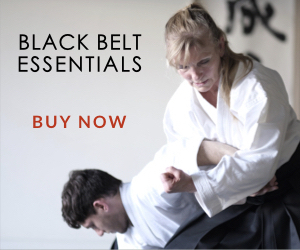 As I have observed for over 47 years training in the martial arts and over 36 years studying Aikido, seemingly people were getting promoted with no visible tangible skills that have improved. Later I saw 8mm and then VHS of the past and realized that I was getting better all along and judging based on a relativity rather than an absolute objectivity. As such, I was always comforted by the fact that promotions were accomplished by very highly ranked members of an Examination Board. For years in my case, usually 10 members of an Examination Board consisting of ranks no less than two ranks about the ranks being tested for. As my graduating class of Yudansha continued to be promoted as did myself, the gap of no less than two ranks about the ranks being tested for, narrowed. As this narrowing occurred many, in fact all now, either passed away, quit martial arts teaching and training [for physical, emotional, or financial reasons] however the case for myself and situations that I observed resulted in the gap being as few as two or three on the Examine Board and only having one rank about the rank being tested for. This was unsettling again to me. The case of Vladimir Putin being promoted in Tae Kwon Do comes to mind. He was compared to Chuck Norris. I was already puzzling to me that Chuck Norris received his 9th-dan as that was seemingly one of those cases with a narrowed gap. I have honestly seen a 9th-dan promotion done by exactly one 10th-dan. 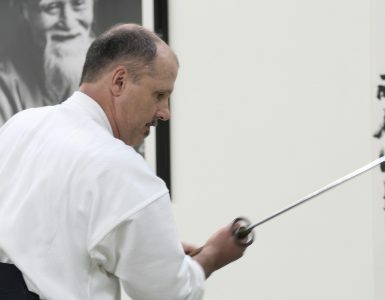 I have previously stated in my comments here at the Aikido Journal that Dan Rank Promotions are akin to receiving a driver’s license. Each promotion is more highly respected but do we always consider the senior citizens’ drivers’ licenses as a higher level of respect for their actual skills as a driver compared to an absolute objectivity such as surviving in driving skills tests like A.J. Foyt ? Well, my initial Yudansha rank examines were quite brutal in whose days many years ago. I am so glad the art has continued to cherish the Founder’s goals of True Budo instead.